This edition is based on a preliminary drawing for the painting ‘De wandeling’ from 1993. The image closely follows a movie still from a Nazi propaganda movie and pictures Hitler and Albert Speer walking down the mountain. Hitler always made the same walk with the visitors in Berchtesgaden, from the Eagle’s Nest to the teahouse in the valley. A car would pick up them for going back up. The mountain concerned is the Watzman, the third highest peak in Germany. 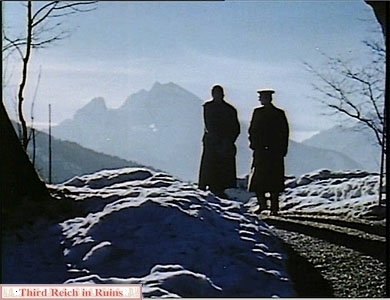 The winter landscape in backlight of the movie still and the painting correspond with a typical landscape of the German romantic painter Caspar David Friedrich, not coincidentally Hitler’s favourite painter. 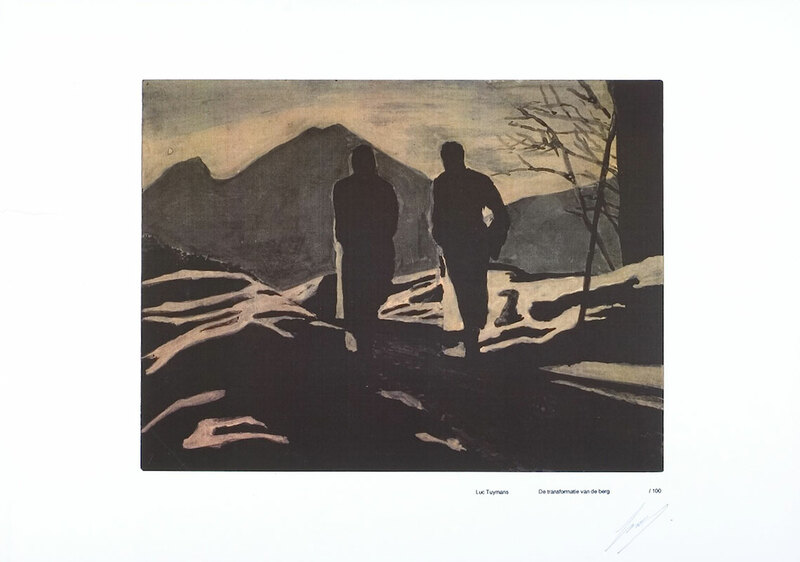 In this preliminary study, Tuymans gives the scene a Spilliaert atmosphere. Spilliaert was a source of inspiration for the young Tuymans. Luc Tuymans (born 1958) is a Belgian artist who lives and works in Antwerp. 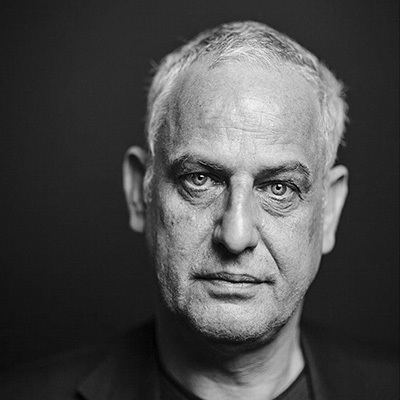 Tuymans is considered one of the most influential painters working today. This series marks the beginning of the long standing relationship of Luc Tuymans and Antwerp master-printmaker Roger Vandaele. Artist book in collaboration with poet Wilfried Adams.